With widespread adoption of MIS colectomy for colon cancer, does hospital type matter? Recent studies have shown that hospital type impacts patient outcomes, but no studies have examined hospital differences in outcomes for patients undergoing minimally invasive surgery (MIS) for segmental colectomies. The 2010–2014 National Cancer Data Base was queried for patients undergoing segmental colectomy for non-metastatic colon adenocarcinoma. Descriptive statistics characterized MIS utilization by hospital type. Multivariable models were used to examine the effect of hospital type on outcomes after MIS. Survival probability was plotted using the Kaplan–Meier method. 80,922 patients underwent MIS segmental colectomy for colon cancer from 2010 to 2014. From 2010 to 2014, the number of MIS segmental colectomies increased by 157% at academic hospitals, 151% at comprehensive hospitals, and 153% at community hospitals. Compared to academic hospitals, community and comprehensive hospitals had greater adjusted odds of positive margins (Community OR 1.525, 95% Confidence Interval 1.233–1.885; Comprehensive OR 1.216, 95% CI 1.041–1.42), incomplete number of lymph nodes analyzed (< 12 LNs) from surgery (Community OR 2.15, 95% CI 1.98–2.32; Comprehensive OR 1.42, 95% CI 1.34–1.51), and greater 30-day mortality (Community OR 1.43, 95% CI 1.14–1.78; Comprehensive OR 1.36, 95% CI 1.17–1.59). Patient survival probability was higher at academic hospitals at 5 years (Academic 69% vs. Comprehensive 66% vs. Community 63%, p < 0.001). Community hospitals and comprehensive hospitals had significantly higher risk of adjusted long-term mortality (Community HR 1.28; 95% CI 1.19–1.37; p < 0.001; Comprehensive HR 1.14; 95% CI 1.09–1.20; p < 0.001). Despite widespread use of laparoscopic oncologic surgery, short- and long-term outcomes from MIS for segmental colectomy are superior at academic hospitals. This difference may be due to superior perioperative oncologic technique and surgical outcomes at academic hospitals. Our data provide important information for patients, referring physicians, and surgeons about the significance of hospital type in management of colon cancer. 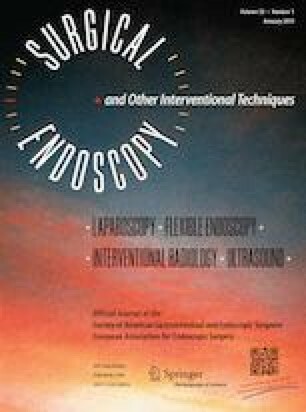 Data contained in this manuscript were presented as a podium presentation at the 13th Annual Academic Surgical Congress in February 2016 in Jacksonville, Florida. Kyle Freischlag, Mohamed Adam, Megan Turner, Brain Ezekian, Joshua Watson, Paul M. Schroder, Christopher Mantyh, and John Migaly have no conflicts of interest or financial ties to disclose.